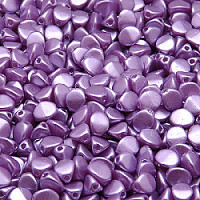 Pastel - Ultrathin lacquer layers are under the action of the thermal radiation fixed to the glass surface of the beads. The chemical bond between the glass and the lacquer decorative arrangement is setting in. The highly efficient organic coatings have very good chemical and mechanical resistence.